Teens in Print is the only citywide youth newspaper written by and for Boston public secondary school students. Launched in 2004 and published five times a year, Teens in Print is available in Boston high schools, libraries, community centers, and online. Recently, we got to speak to one Teens in Print student—or “TiPster”—Adamajan Bah. 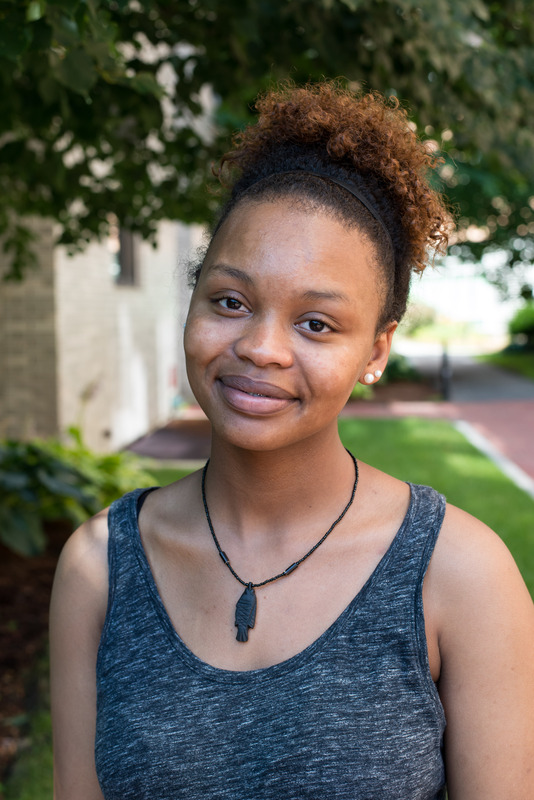 Adamajan’s first interview was “awkward.” She remembers nervously standing in Copley Library, stuttering over her words and earning weird looks from teens. Panic began to set in – what was she going to tell Ric when she came back with no sources? – when one passerby offered to be interviewed. Adamajan had to ask this girl, “Are you for real?” before reeling through her list of questions-and successfully making it through that first interview. She remembers the “amazing feeling” seeing her name as the byline of her first published article at TIP. Amidst her excitement, she shared her accomplishment by sending the article to the one girl that made it possible that day in Copley Library. Those days of awkward interviews seem far in the distance for Adamajan, who aspires to be a leading voice for her generation. Her passion for writing shines through when she focuses on one of her favorite topics, her religion. She uses writing to shed light on the struggles of being Muslim in America. In one article, Adamajan describes being terrified of not knowing how other will react when she wore a hijab-the Islamic headscarf-to school for the first time. Despite her fears, Adamajan knew the importance of sharing her experience. She pictures herself incorporating her passion for writing and religion in college by studying abroad, to fully immerse herself in a different culture and belief system. Adamajan plans to attend a four-year college to study medicine and religion or education. She will be the first in her family to attend college. Big thanks to our fabulous summer intern Tori Dowd for writing this profile and managing TiP’s social media this summer.